Kiluaea Eruption (May-June 2018) Web Page: this page presents a 3D view of the surface of the Eastern rift zone, and clearly shows how the lava flows are following the surface topographs of the land. 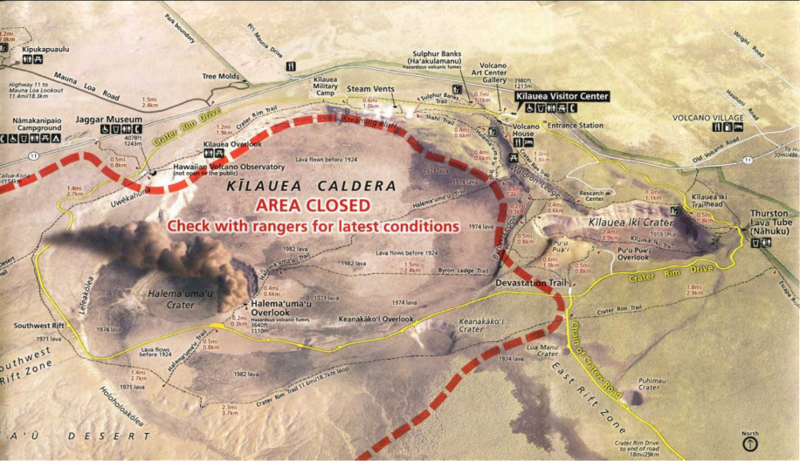 Also presented are spectacular videos of the lava flows and geysers. Note: To use the above linked 3D maps, rotate them using the left mouse button, zoom in/out using the mouse wheel, and to roam across the map, use the right mouse button. 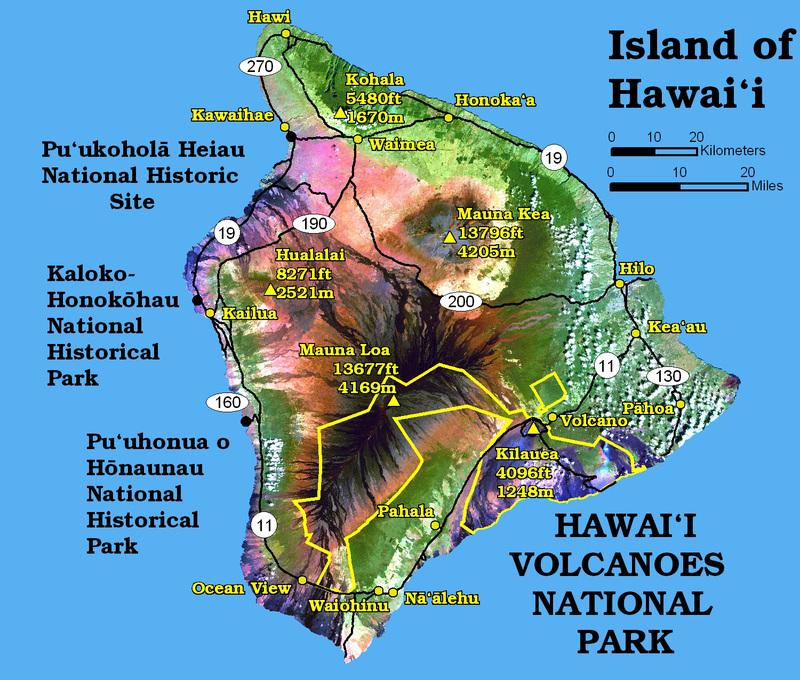 Interactive 3D representation of Hawaii Island with Mauna Loa. Use if want full screen, uncluttered 3D interactive experience. It is probably obvious that as an active volcanic area, especially one with as a many hotspots as Hawaii makes it also rich in exploitable geothermal resources. 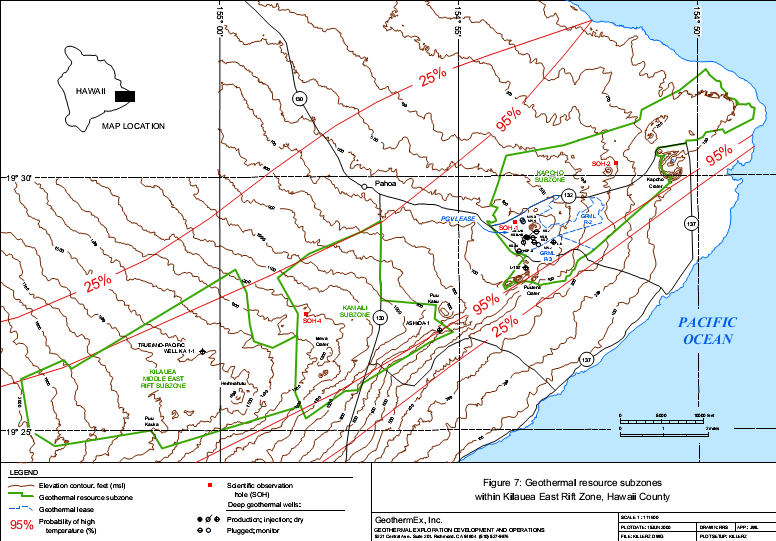 The maps to the right and below were prepared by GeothermEx, Inc., for the Hawaii Depart. of Business, Econ. Devel. and Tourism. 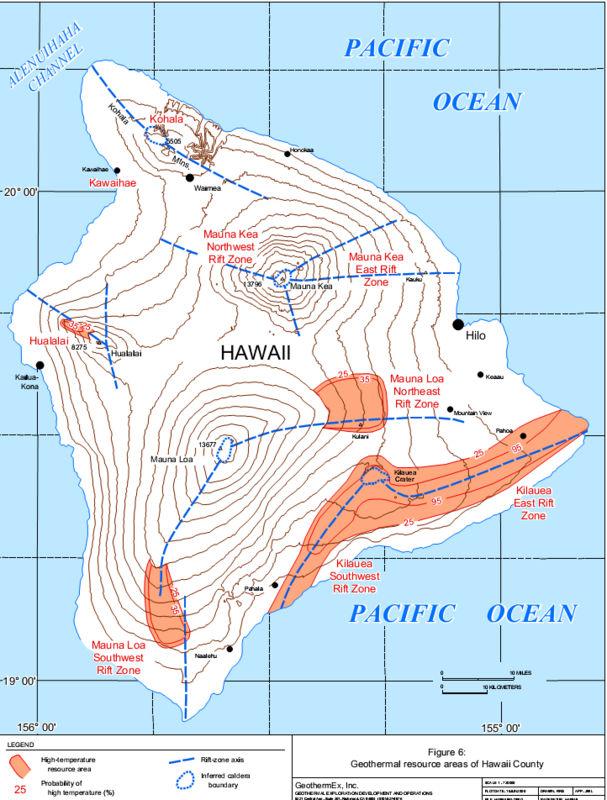 The maps show in general terms the approximate locations of the geothermal resources on Hawaii island.